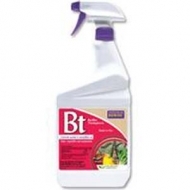 Arm yourself against ants and other unwanted insects with this convenient, 16 oz. aerosol spray. 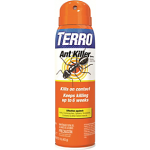 With dual protection, TERRO® Ant Killer Spray provides fast killing action and keeps on killing for up to 6 weeks. 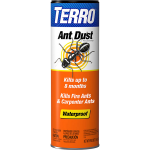 Arm yourself against ants and other annoying pests with this unique, ready-to-use TERRO® Ant Dust. The waterproof dust won’t wash away in the rain and will remain effective up to eight months. Ideal for crack and crevice treatments, TERRO® Ant Dust can be used both outdoors and indoors. Contains Deltamethrin 0.02 percent. New, advanced third generation pyrethroid technology. Quick acting, long lasting (4 months). Odorless and water based. Great for indoor and outdoor control. Not for sale in LA. 13.3 percent Permethrin; Outstanding Dursban replacement. 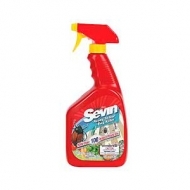 Kills termites, carpenter ants, fire ants, wood infesting beetles. Long residual action. (5 years for trenching applications). Not for sale in MS and NY. Acephate 9.4% Concentrate. Economical, long lasting insect control for ornamental gardens, shrubs and trees. Use as little as 1 tablespoon/gal. 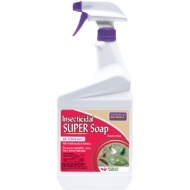 The spider and ground bee killer kills and repels bees and spiders and is safe for indoor and outdoor use. Includes snorkel tube applicator for hard to reach areas. Helps protect against painful stings and bites. Kills other listed insects as well. Not for sale in FL, IL, IN, MS, and RI. Iron Phosphate 1.0% pelletized. Patented, all weather formula makes slugs disappear! Biodegradable and safe for use around pets and wildlife, worms and beneficials. Slug Magic can be used in fruit and vegetable gardens up to the day of harvest. 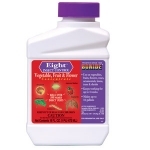 This formulation of naturally occurring pesticides is perfect for organic gardeners. Controls many insects on fruit, berries, vegetables, ornamental flowers and trees. 50.0 percent; Labeled for use on fruits, vegetables, ornamentals, houseplants. One pint makes 50 gals. of spray.